As school begins, who’s left out? It’s back-to-school season in the United States. Yellow school buses once again join the morning commute; teachers prepare lesson plans for the year to come; social media brims with photos of eager, sharply dressed children. But around the world, many children are again seeing their peers don neat, identical uniforms and walk to school—and wishing they could join them. Where education at a young age is both an expectation and a requirement for many of us, it is a hard-earned luxury for much of the world. The numbers are staggering: Around the world, an estimated 62 million elementary school-aged children are not enrolled in school, according to the World Bank. A senior at Messiah College, Mahelet has a passion for ministry and sharing the Gospel. Born and raised in Ethiopia until age 16, Mahelet says, “Helping others has always been a part of my life.” She credits her grandparents, who were involved in business, and her mom, who served as a missionary in rural areas of Ethiopia, for their positive influence in her life. Despite her Christian upbringing, Mahelet fell away from her faith in Christ until two years ago, when she recommitted her life to serving Him. Mahelet heard about HOPE International when President and CEO Peter Greer taught a course at her college. 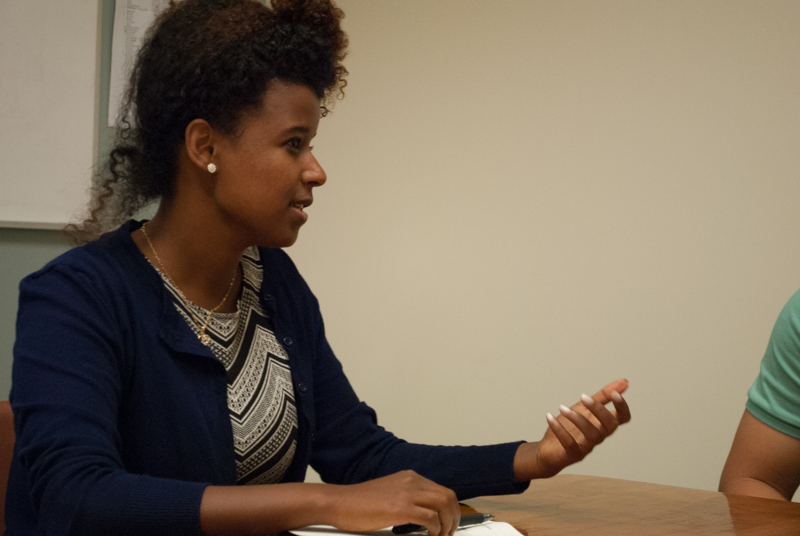 She spoke to him after class and was encouraged to apply for an internship at HOPE. That summer, Mahelet served as the church and community outreach intern. How does working at HOPE compare with other places you have worked in the past? In just a few weeks, American schools will prepare to return from summer vacation. As a former public school teacher, I remember the anticipation of preparing to return to school. In honor of Universal Children’s Day on November 20, we’re excited to share about the ingenuity and hard work of these children in Rwanda. In southern Rwanda, two savings groups meet regularly to save between 7 and 73 cents a week. Named Dutezanyimbere, meaning “Let’s hold hands and move forward together,” and Dukomezumurimo, meaning “Let’s keep the calling,” these groups have big dreams. One plans to buy a cow for each member, while the other hopes to buy a house to use for rental income. While these might sound like typical savings groups, they’re unusual in one key demographic: They’re made up entirely of children, with members ranging in age from 12 to 17. In Rwanda, 61 percent of the population is under the age of 24, and the median age is just 18. HOPE International typically impacts this age group indirectly by empowering parents to provide for their children—but the next generation is also learning the value of saving money. 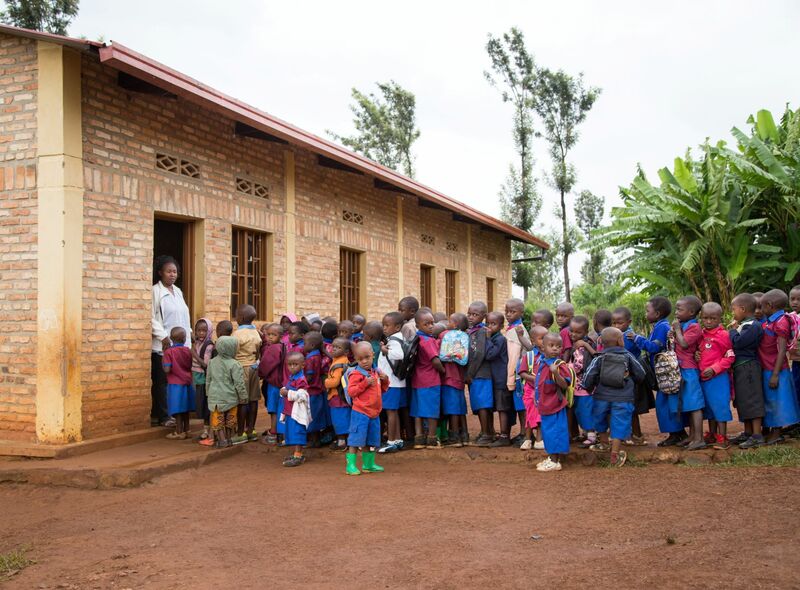 While only 79 of the 8,800 savings groups in Rwanda are made up of children, this small but impressive number is faithfully saving small sums for the future and learning more about God’s Word in community. Oscar, the 17-year-old who serves as secretary of Dutezanyimbere, immediately saw the benefit of forming a savings group: “I had different needs as a child,” he shares. One of these needs is education. 16-year-old Vestine uses her savings to buy school supplies. Cecilia, another 16-year-old member, says, “I want to study hard and then get a loan from the group to pay for school fees in a good school.” She dreams of using that education to become a doctor. 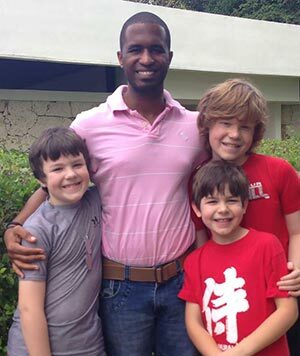 In January, Doug and Amy Wilson traveled with their three sons—Brant (11), Sam (9), and Nate (8)—to the Dominican Republic on an Experience HOPE Trip to learn more as a family about global poverty and ways to address it. 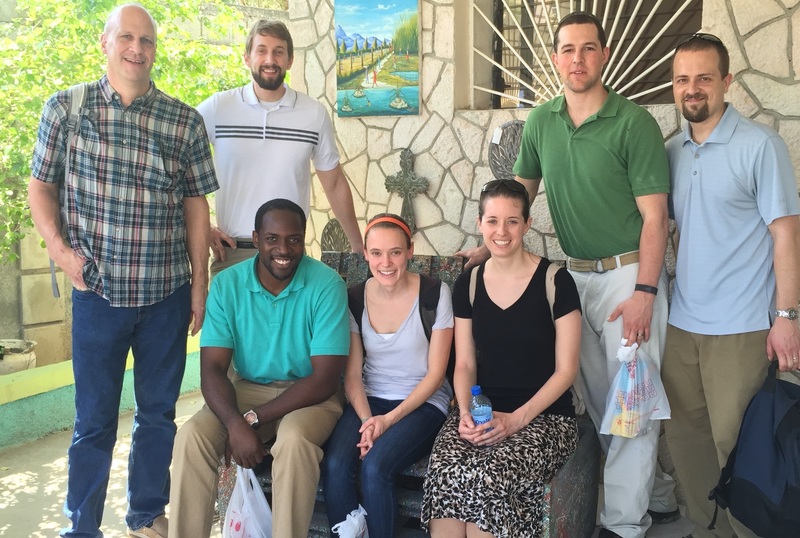 Since returning from the D.R., Brant (pictured above, second from left) has spoken on a number of occasions about his experience, and here he shares how the trip shaped his perspective on poverty. In January of this year, my family and I were sitting in our airplane in Indianapolis, waiting for takeoff. We were first going to fly to New York, then from there we would go to the Dominican Republic. At this point our whole family didn’t really know what to expect, or at least I know I didn’t. It was as if we were about to walk into a cave. We knew we were going in, and we knew nothing bad would happen, but we couldn’t see what was in there. We were venturing into the unknown. This brings me to my second point. The people we met in the D.R. are, in many ways, very different than us. We don’t ever really see poverty like that, except in the movies. None of us have to worry about the kitchen floor turning to mud every time it rains or all the flies on our food. One of the biggest things that I noticed, though, was how similar we are. Before I went there, I guess I didn’t really view them as people; I viewed them more as numbers. But when I was with Dominicans and heard them speak and saw them play and learn at school, I realized that there really isn’t much difference between myself and them. They all have passions, hobbies, personalities, dreams, and hope. Yes, hope! This was, I thought, the most amazing part of the trip. No one I met was in despair at their conditions. They all had hope. They all were ready for change, and they all knew what it would take. They knew they would have to work, and they knew it would be hard, but they knew they could do it. This is something we–we who think we have everything compared to them–need. No one I have ever met has had such a beautiful desire in their heart for anything. So next time you look at a chart about poverty, or hear someone talk about how much you have compared to those people, I encourage you not to think about them as numbers, but as people, people that you could probably learn a lesson from. A lesson about hope. 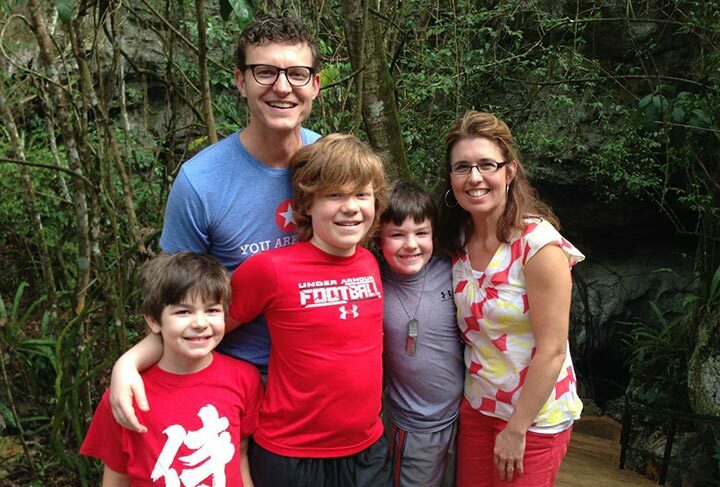 Visit HOPE’s website to learn more about how you and your family can participate in a similar Experience HOPE Trip. Brant Wilson is a seventh grader at The Oaks Academy, a Christ-centered school in Indianapolis, IN, that is intentionally racially and economically diverse. 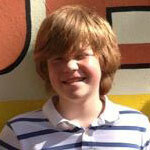 He loves music, writing, and most of all, his friends.